Oddbods is a CGI-animated show animated by One Animation, and debuted back in December 2014. It aired worldwide and garnered a lot of praise from viewers. They also utilized social media so people can watch the episodes on YouTube. Recently, they decided to utilize games to further promote the show, and to also encourage interactivity with their viewers. One of their games is called Oddbods Forest Run. The game is built with HTML5 technology so users do not have to download plugins or an application to play the game. All they need is an active internet connection and a browser that supports HTML5. Oddbods Forest Run is an endless runner and you play as Fuse, the red Oddbod and one of the main characters in the show. The main objective is to run as long as you can while getting all the chilis along the way. 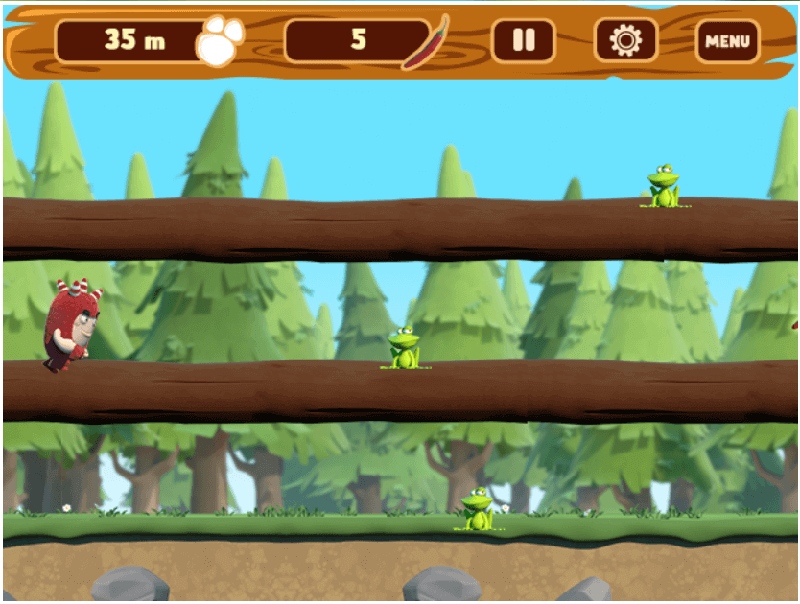 You must also avoid obstacles such as frogs, rolling logs, spiders, and more as once you hit them, it is game over. The controls are quite easy, all you have to do is tap the screen for Fuse to jump over the obstacles. Tap twice and he will be doing a double jump to reach a beam. One tap again if you want to go down to the ground. The game also has a leaderboard system so you can see your scores alongside everyone who has played the game. To know more about how the game was developed and how it helped One Animation on providing an interactive medium for their viewers, check the in-depth case study here.